Today for Yum Yum Wednesday I flashed back to a recipe that I made in February of this year! It’s a new family favorite and makes for a super quick weeknight dinner. It’s my Baked Parmesan Ranch Chicken. I love this chicken! It is so juicy and loaded with so much flavor, not to mention low-calorie and so easy to make. When making the chicken I used a ranch seasoning packet, bread crumbs and parmesan cheese. Oh baby, these flavors together are just delicious! So when your stuck on what to make for dinner, try this chicken, I guarantee if you’re a ranch flavor fan, you will love this chicken! You can get the recipe here. Popchips are available in flavors, such as sea salt and barbeque potato, and nacho cheese tortilla, Popchips are the perfect snack to keep you looking cool and feeling satisfied. Whether you’re having a picnic in the park, heading out on a summer vacation, or relaxing by the pool, or like me, hiding them in my desk at work., Popchips has all your summertime snack needs covered! By the way Womans Health Magazine gave them the best of food award for Best Packaged food for Woman! Nice! You can get more information on Popchips here! Well that is it for me!! I am beat today! Have a great day! See you tomorrow with a fun recipe and a giveaway! 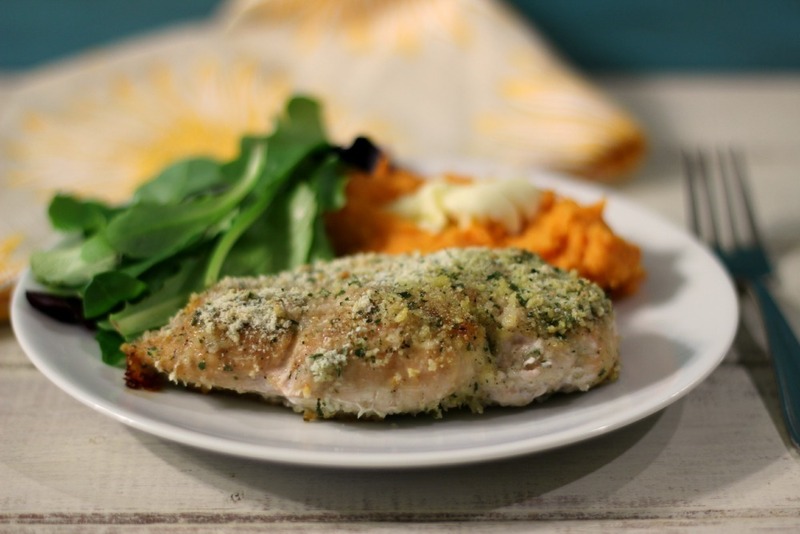 You can get the recipe for the Baked Parmesan Ranch Chicken here. I make your ranch chicken recipe all the time. I’ve even made it with boneless pork loin chops too….so good!! Love the pop chips too. My favorites are the barbecue flavor and the sour cream and onion ones YUM! Hi Heather! 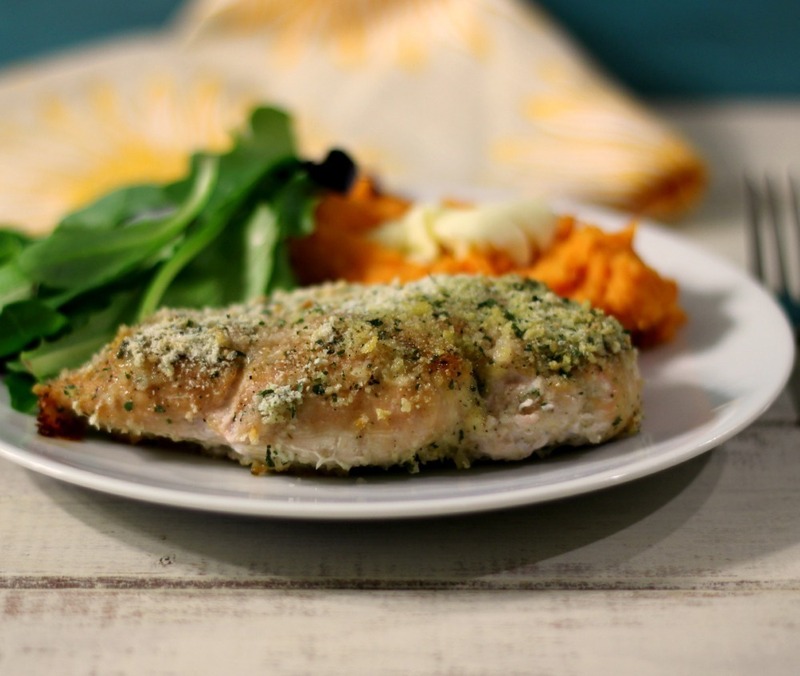 I love that you made this with pork loin chops! I bet it tasted good! I haven’t tried the sour cream and onion Popchips yet! I’m going to have to try them next! OMG this chicken looks so moist and that coating is epic! This recipe has become a family favorite. I end up making it when I am stuck for what to make. When it is too hot to put the oven on, I sauté the chicken in a little olive oil and butter. Thanks for this great recipe. I am so glad you like it! It’s so quick, easy and tasty! 🙂 Love that you saute the chicken, great idea!